Claimed by its designers, an international consortium of diving technologists, to be the world’s first enriched air snorkel, ‘Uranus’ attracted considerable interest among those in the technical diving community invited to the launch preview held during the recent Tec-Asia ’96 Conference, in Singapore. Resembling the 1954, U.S. Divers model snorkel, ‘Uranus’ features an eighteen-inch [45 cm] black graphite tube with one-inch [2.54 cm] bore; a reservoir well at the lower end, fitted with a non-return purge valve for easy clearing, and a soft, moulded mouthpiece for comfortable grip. 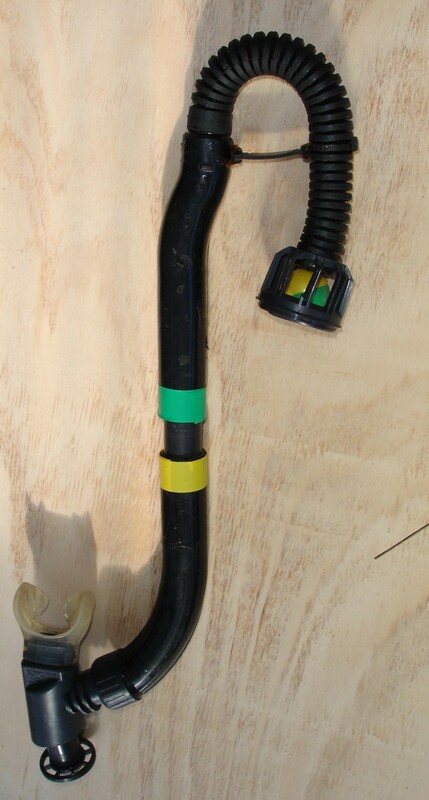 Depending from the reservoir well a manually operated spindle valve activates a membrane adsorbent located in a canister midway along the stem of the snorkel, a device that serves to filter unwanted gases from the mix. 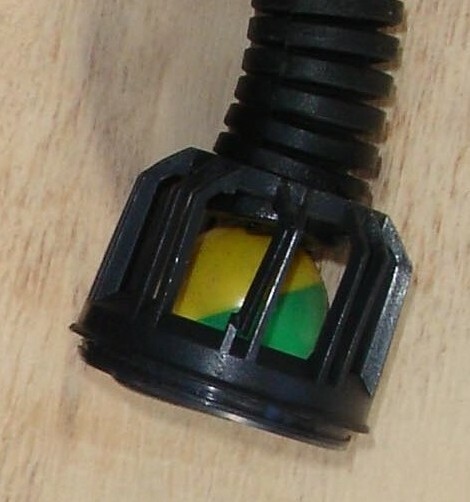 Unlike modern conventional snorkels the top of ‘Uranus’ curves downwards and is fitted, at its end, with an open sided ‘cage’ housing the micro-chip sensor device, a ping-pong ball shaped instrument that automatically switches the mix to 21% oxygen on the surface. Presently available in two models for use with 32% and 36% O2 mixes, the designers of the ‘Uranus’ snorkel predict that there will be a full spectrum of models compatible with all Enriched Air Mixes up to 50% available by the early part of 1997. The design company, Zymurgy Inc. – with offices located in Australia, the USA, and the U.K. – are believed to be presently involved in negotiations with a number of leading equipment manufacturers keen to negotiate the world-wide marketing rights to this exciting new product. At the close of the first Tec-Asia Diving Conference – held in Singapore in 1996 – several of the speakers repaired to the Billiard Room bar of Raffles Hotel to enjoy a quiet drink. Inevitably, the conversation drifted towards technical diving and the challenges that its future development posed to equipment manufacturers. Given that all of the company’s founders had, from the perspective of consumers, significant knowledge of all three aspects of that branch of chemistry, ‘zymurgy’ always struck me as an appropriate name.